The idea of a Venezuelan feast started when one of my reader, and friend, Mike asked whether I was keen to sample some Venezuelan food. I agreed immediately, it’s not everyday where you get to try authentic Latin America cuisine, so we had to try the food prepared by Mike’s wife who is from Venezuela. Our Latin America adventure started with the rhythmic and contagious latin music played in the background. When the rhythm starts to play, dance with me, sway with me. Like a fool who will never say no, hold me close, sway me more. Trekking in the dense, but serene jungle, with every step closer to Angel falls. The roaring sound of the water amplifies as we approach it; the magnificent waterfall was a sight to behold. This was all but a scene that we could almost imagine ourselves when we close our eyes for a second. The “sandwich” that we had, was awesome! It’s like totally, God’s gift to mankind. Made with just corn flour, water and salt, the Arepa is a staple in Venezuela, the folks there eat it everyday. It tasted something like our popiah skin, and the mcgriddles, but in much thicker portions. It’s good to eat on its own, but I wanted more! And it came in the form of the excellent carne mechada (pulled beef). The Carne mechada was oh-my-god, so good, and I’m really not exaggerating. Flank steak is cooked in a pressure cooker for hours until it is tender enough that you can pull it off in strips – and then cooked again in a tomato/onion sauce. The beef was so tender and flavourful! We added two slices of halumi cheese together with the pulled beef into the arepa; it’s a creation that would rival any worthy burger/sandwich. It might just be beef wrapped within bread made from corn flour, but in the right company and atmosphere, it’s divine. Even the rice that they eat, is prepared differently. Instead of just water and rice, there’s garlic and salt added in to enhance the flavour of the rice. I’m not going to continue to rave about the carne mechada, okay just once more, I had a lot of it, with the arepa, and on its own too! Interestingly, there’s tajadas which was quintessentially fried plantains, a bigger, and uglier cousin of banana, but it was as good as our goreng pisang (fried bananas). Except, it was sliced thinly and fried instead of the whole banana. We actually started with the Empanadas, some sort like our Chinese dumplings, but they call it stuffed pastry where it can be filled with different ingredients. They are made all over Latin America – but in Venezuela’s case, they are made from a corn flour/white flour mix, and deep-fried. The ones we had were filled with Halumi cheese – a salty white cheese from Cyprus that is popular in the Greek/Middle Eastern world – the closest to Latin American cheese in Singapore! Even the corn flour that they used were imported from Australia, Mike would always buy back tons of flour when he travel there, nothing but flour! Go on, give it a bite, succumb to your temptation. Savour the rich pickings of every sweet, and wonderful taste. I’m running out of superlatives now, but the tres leches, was truly amazing. The three-milk cake is a butter-free sponge cake that’s soak in three kinds of milk; evaporated milk, condensed milk, and heavy cream. Poking lots of tiny holes within the sponge cake, it fully absorbs the essence of the different milk. Topped with a layer of meringue, the tres leches was in every way a close reminiscence of the bread pudding, but definitely so much better! The Venezuela feast was way beyond my expectations, thank you Mike and family for hosting us! We saw some videos and photos of the beautiful country, the Angel falls was magnificent! The current Venezuela population in Singapore is still very small, which explains for the absence of their food here. We are keen to let more people to sample some of their authentic Venezuelan food, so if you are keen, rise up your hand and let me know. If there’s enough interest in it, we will think of ways to prepare the food for a large group, and I’ll organise an outing at Mike’s place. Pulled beef? I heard of pulled tea (teh tarik), but pulled beef? That’s a new one! How very fortunate of you to have tried this Venezuelan feast… Any more future invites? !!! tres leches!!! I TOTALLY MISS TRES LECHES. do u know any restaurants in singapore that have it?? S: hee! everything taste so good! If I do an outing for this, promise me u will come! Lainey: YES! it’s very good right. Not that I’m aware of, maybe u can check around the South American restaurants in Singapore, but there are hardly any. buay tahan sia!! beef is yummy!! the milk cake looks like my roti soaked in teh c~~ the colour’s very nice! three-milk cake?? soak in three kinds of milk; evaporated milk, condensed milk, and heavy cream??? oh my..got recipe or not?? Wouldnt tht be VERY sweet?? And yes count me in for a Venezuelan pig-out! Pls be on Sun! haha! i should say 4 hands up! Dated a Korean who grew up in Venezuela before and had been interested in the food ever since. havent tried this recipe out though. 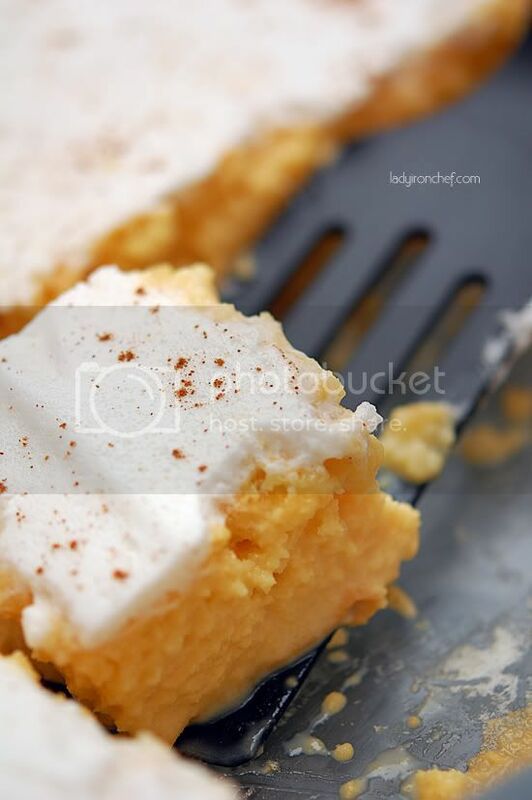 It’s not as sweet as you’d think, although i haven’t tried one that’s topped with meringue yet… only the whipping cream version and i love it! reme to keep it chilled, at least for a few hours or overnight before enjoying! LIC – lemme know if u’re doing an outing! that’s really cool. something that money cant buy! i’ve tried Venezuelan snack in London before but not a full meal. sounds really good. It was our pleasure to have such distinguised Singaporeans as our guests Stay-tuned for further plans! If anyone wants extra tres leches, we always have too much in our apartment. 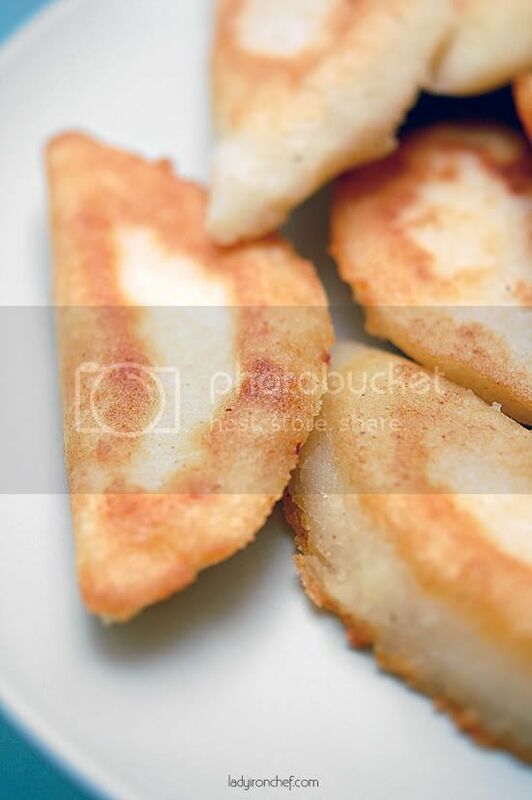 adel: Yeah cheese inside dumpling sounds good eh? thenomadgourmand: Yeah it’s rather sweet, but I can accept it. I got a sweet tooth :p really? you are coming back to Singapore soon? Yewon: Whoa cool beans, did he prepare any Venezuelan food for u before? lainey: thanks for sharing the recipe, keep an eye here, will post the notice if I’m doing an outing, hope to see u next time! Mike: Thank you dude for having us, I want more tres leches! Can i have the whole tray? love the arepas! i’d love a food outing to have that again. used to have it while i was on exchange in montreal. i’ll come for the food outing if there’s one! Never tried venezuelean food before and it all looks so good! Maybe it can be like a potluck where everyone bring different foods! Haha.just a suggestion..
pam: sure! look out for my notice, I will have to work out the details first. potluck sounds good too! YEAH! haha. so clever! We’re dessert people remember? And of course, we’re interested in the burger! aw… Hope tat I’m nt too late ! Both legs up too! Wahaha. Foodies Queen: LOL! okay, you are in of course! serendipity: YAY! it is delicious, hope to see u if i organise an outing for this! I absolutely adore your photos. This sounds like a great way to eat the rest of the carnitas I made yesterday! 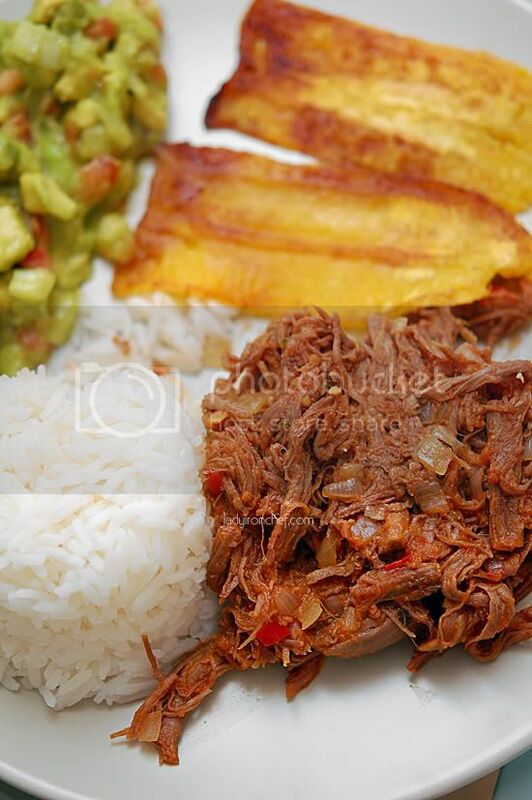 your venezuelian food experience sounds absolutely amazing! you’re v lucky!! do you hv the recipes for the above dishes? I’ve wanted to try these for a while! 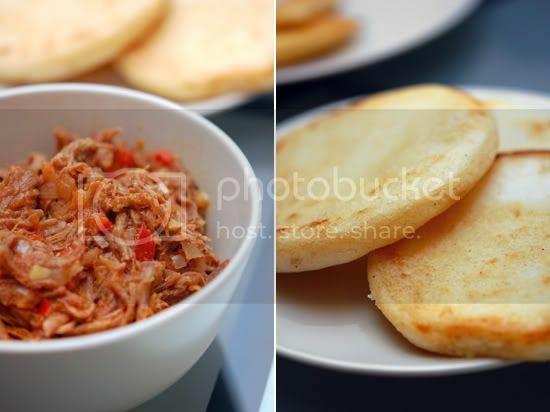 I made pupusas a little while ago, which are basically the Salvadoran version of these: http://betterwithbutter.com/recipe-relations-pupusas-and-corn-cakes-with-shredded-chicken/. Great pictures! sweetbird: thank you! whoa share some with me, I want it too! nutsy: yeah I’m lucky to have Mike & family as friends. Nope, I do not have the recipes for them. Jada: Salvadoran version? sounds cool! and it look similar to the ones that we had too! can you make some for me next time? What a tasty looking meal! I am from Singapore Chinese Girls’ School. My school has been tasked to showcase Venezuela as part of Youth Olympic Games 2010 twinning program. We would like to focus our display on culture and youth of Venezuela and we like to seek your advise. We are desperately searching for Venezuelan expats in Singapore. Singapore Chinese Girls’ School is hosting the Venezuelan team for the Youth Olympic Games and the school needs to set up country displays etc. 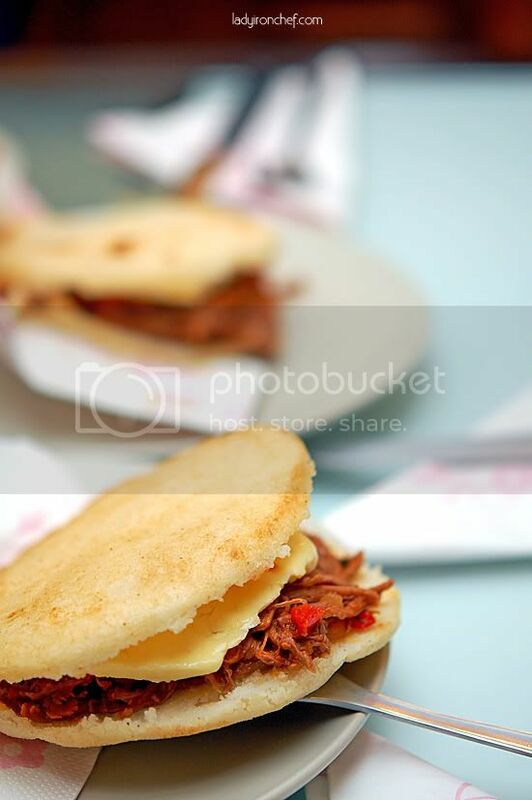 it would be great to know a Venezuelan restaurant in Singapore serving the type of food mentioned like the arepas. I’ve tried the sinfully sweet sponge cake and its so delicious cos I’ve a sweet tooth.A Venezuelan friend made it and its very unique and I’d love to sample it here in Singapore with my family.I’m a food lover and I love to cook so I’m always game to learn something new.. If you want to try Venezuelan food, there is a new restaurant called Sur. It is located in 10 North Canal Road and the menu includes many of the Venezuelan dishes you have mentioned in here. You can check it out at http://www.sur.com.sg. Still can try??? it looks really gooooood..